Fortune Magazine recognized Prosci as one of the top 20 Best Places to Work in Consulting and Professional Services. Among a pool of over 600 organizations across the United States, Prosci ranked #14. We are honored and grateful to be recognized with such an accomplished group. Read the full Great Place To Work review here. To Our Prosci Family - Thank YOu! For over twenty years Prosci employees and leaders have been dedicated to creating an environment where employees want to come to work. Our core value on employee experience permeates the decisions we make, the way we treat each other, and how we operate our business. The enthusiasm and passion of our team shines outwardly in our commitment to building client success and creating exceptional experiences. To employees past and present, thank you for your contribution toward making Prosci the great workplace it is today. Our company culture is a direct result of your innovation, quality of character and commitment to excellence. This recognition is a reflection of you. We couldn’t be more proud of our Prosci family. Have you experienced Prosci as a great place to work? Why did you choose us? Do you have a favorite Prosci memory? Celebrate with us by sharing your story and photos of working with Prosci on Facebook and Twitter and using the hashtag #ProsciAPeopleCompany. Thank you to everyone who shared with us what they love about working with Prosci. Below are a few of our favorite posts. Want to know more about how to join the Prosci family? Visit our careers page. Allison is a performance-driven executive who achieves results at the intersection of strategic leadership, operational excellence, and organizational culture. 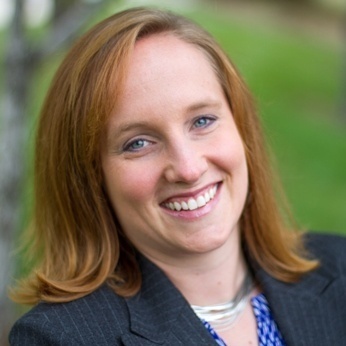 Allison is passionate about coaching leaders and organizations to realize better results. In her time at Prosci, Allison has led transformational growth initiatives, process improvements and systems implementations. Leveraging her leadership experience both in the United States and internationally, she stood up Prosci’s Global Affiliate Network to make change management training accessible around the world.